The only thing better than creating something special is the mess you get to make while doing it. Don't worry about the clean-up, just get lost in the fun! Baby, it's cold outside! While we are all probably sick of the ice, snow and the shoveling that comes with it, at least the cold weather gives us all the perfect opportunity to stay home, stay warm and spend time with our families. Whether you love to cook something up in the kitchen, snuggle up on the couch with a bowl of popcorn or break out the Candy Land from the game closet, spend what's left of the cold season together with the people closest to you. Here are some of my favorite things to do with my kids when it's too cold to go outside and play. Construction sets are a great way to pass the time with your kids. Clear some space on the floor and break out the Legos. Let kids create anything they can imagine, or work together to recreate your town out of these classic bricks. You can even create different things at the same time, and then bring them together and challenge kids to tell a story about everything you made. 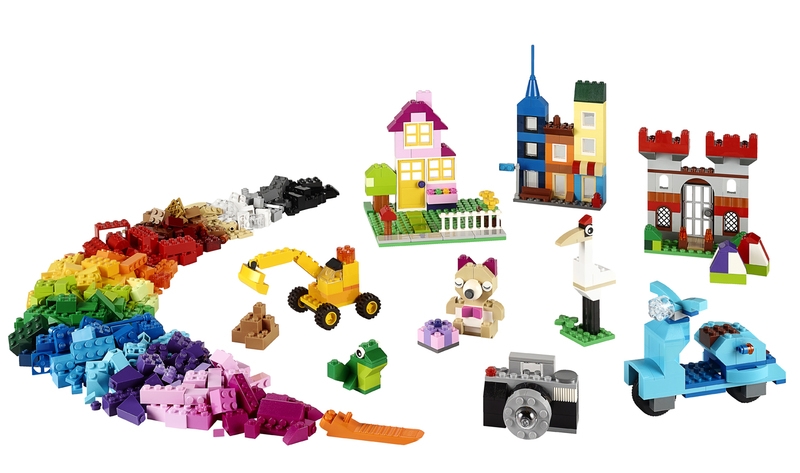 The Lego Classic Creative Brick Box includes more than 790 bricks in a full spectrum of colors--perfect to have on-hand for indoor play days. 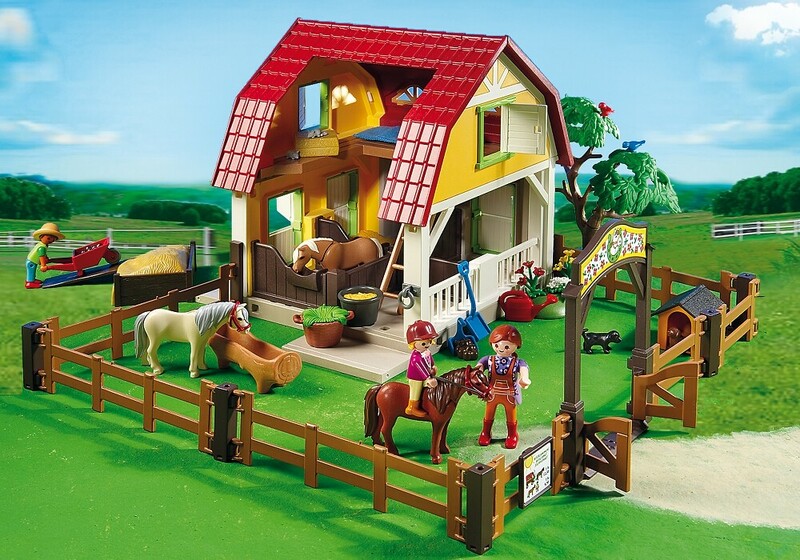 For more structured -- yet still imaginativ e-- play, Playmobil sets provide kids everything they need to build an entire play set, and then live out their adventures. With the Children's Pony Farm, kids can create an entire farm scene, including a barn, animals, and hundreds of accessories. Then, they can use the mini figures and their imaginations to pretend they are spending the day in the warm sun. Every household should have a collection of board games on-hand. An inexpensive way to have a lot of fun, board games typically cost less than $25 and provide hours of cooperative or competitive fun for kids, tweens, teens, and adults. 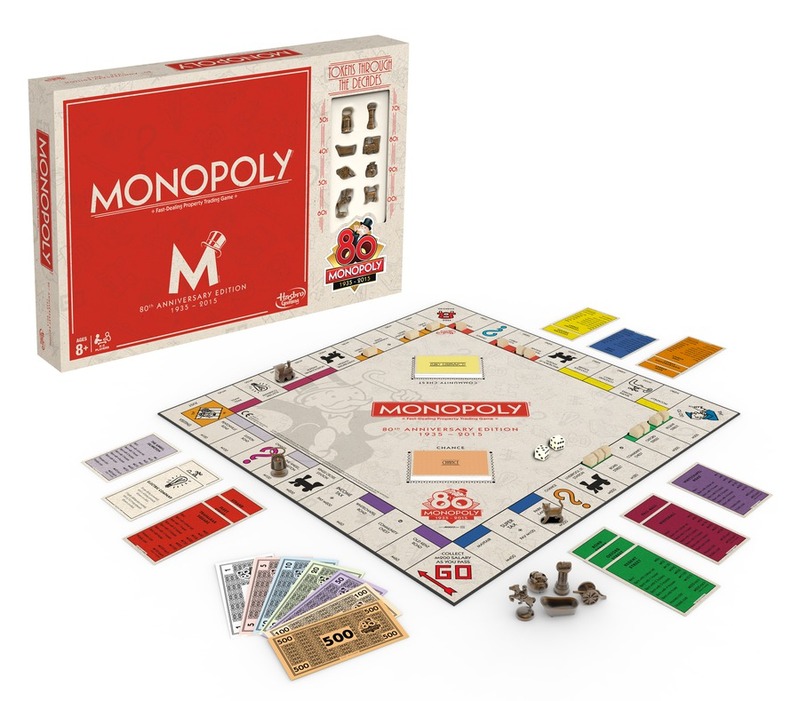 Monopoly is one of the most classic games of all, and this year Hasbro is celebrating the game's 80th anniversary. A great introduction to counting, budgeting, and "friendly" competition, Monopoly teaches kids a ton while keeping all players engaged. Spit it Out is a brand new fast-paced game from R&R Games, where players must retrain their brains to give the WRONG answers to easy questions. But, sometimes you also have to give the RIGHT answers, and you have just 30 seconds to spit them all out. Designed for kids ages 10 and up, this game can be played with three to eight people--perfect for families large and small. 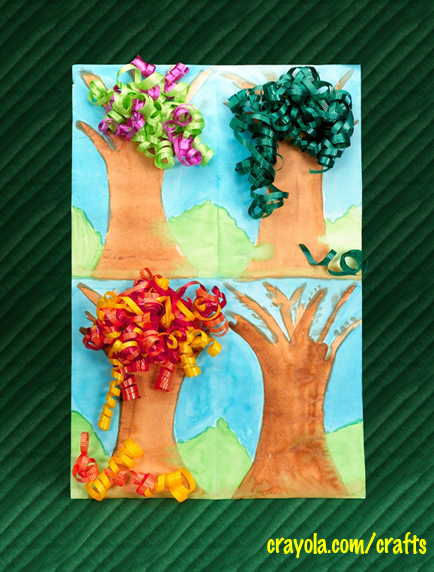 Kids love to get creative -- and they can spend hours on end crafting a masterpiece. 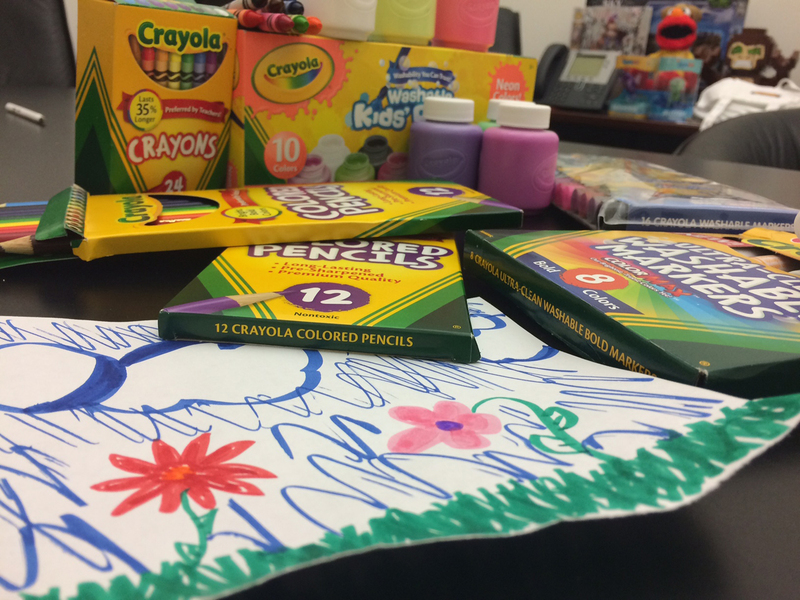 From Model Magic clay, to classic washable markers, to finger paints, Crayola has an endless array of creative products to bring out the best in kids. Always have a storage container on-hand with crayons, colored pencils, felt, paper and some odds and ends like pipe cleaners and stray buttons. Cover the table with newspaper and let kids go crazy. Head over to the Crayola.com/crafts/ for an array of wonderful ideas, like this beautiful Changing Seasons tree -- perfect for March! Make something tasty with your kids. This is hands-down my favorite (as I love to bake, and now so do my three daughters). In my house, I have the following ready to go at all times: all-purpose flour, baking powder, baking soda, eggs, butter, oil, excellent chocolate and excellent vanilla (it makes a difference -- trust me!). Whether it's easy-to-make chocolate chip cookies, or creatively decorated sugar cookies, kids have a ball when you let them bake their favorite sweets alongside you. Extra bonus: It helps them learn measuring, patience and even helps show them where their food comes from and what goes into it. Plus, they get to enjoy some yummy treats at the end! Days when the whole family is tucked safely in the house hiding out from an icy storm can spark some of the best, life-long memories you'll have with your kids. Make the best of the icy grip Mother Nature has on the northeast, and create some memories that will last a lifetime.